The park renewal project will officially open on Monday, August 31. 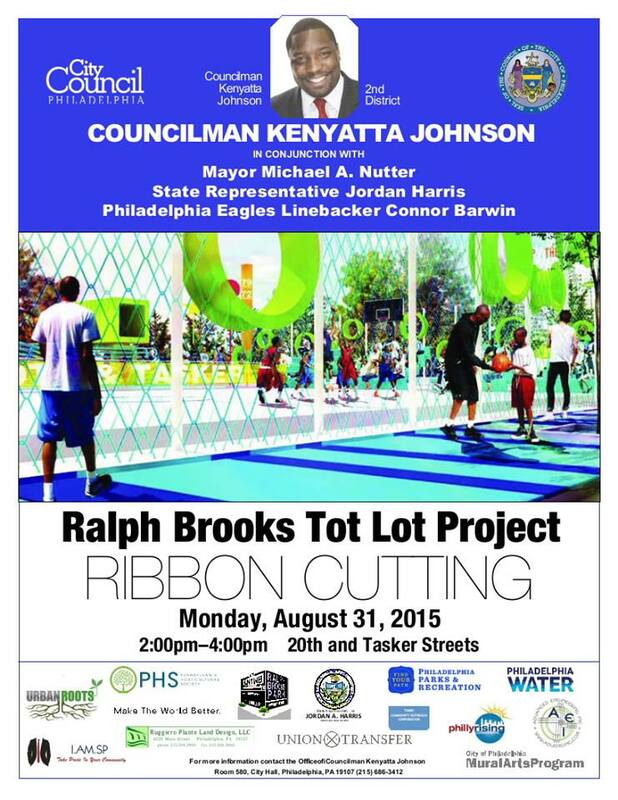 By James Jennings·	 8/27/2015, 3:30 p.m.
A ribbon cutting planned for Monday, August 31 will top off a major revitalization project at Ralph Brooks Park in Point Breeze. The ceremony will officially mark the transformation of a downtrodden playground at 20th and Tasker into a true community hub, complete with new basketball courts, rain and community gardens, freshly painted murals, an inter-generational gaming terrace with seating and a brand new tot lot for active play. While Monday marks the official opening of the park, Tubbs said there’s another date of note. 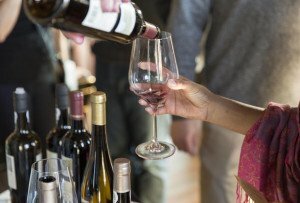 “We started this project on March 13th, 2012,” he said, referencing the first emails to Jahmall Crandall, a Point Breeze native and project partner with I.am.SP. The entire project will be about 95 percent completed by the time city officials, the development team and community partners cut the ribbon. 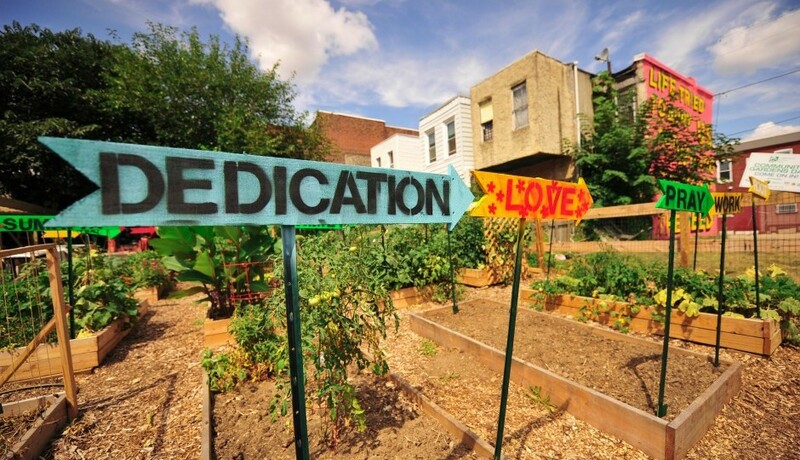 That includes the seven parcels surrounding the project, two of the four murals and the community garden, which Tubbs said is already “in full swing” with 30 gardeners getting their hands dirty to grow fresh fruits and vegetables. Tubbs said that the bike share station planned for the park is still “a little ways off,” and that only “some minor punch list items” will need to be finished (along with the remaining two murals) before the project is 100% completed. For a look at how the project came to together, how the Philadelphia Water Department and Philadelphia Eagles Linebacker Connor Barwin took it to the next level and what’s on deck for Urban Roots and Barwin’s Make the World Better Foundation, check out the link below.